You can always count on a Cancer to get you out of misery. The fourth sign of the zodiac is one of the most dependable; they will always be there for and with you when you make a distress call. Shy, pensive, discerning, aloof crabs are known to be high on emotions. They are very sensitive to the needs of others while detached from their own emotions. Their personalities can be quite complicated but this conservative sign value friends and family more than any other in the zodiac. Intrigued by this emotional sign? Read and find out what it’s like to be friends with Ariana Grande and Selena Gomez. Here’s a cool infographic with the Cancer Zodiac Sign. Don’t be surprised when you feel like you are being watched. It’s probably the crab in a corner secretly probing you. They have this uncanny ability to decode the feelings of other people.They can easily process thoughts and behavior of others. They are very discerning and can tell whether your intentions are good or not. They are great problem solvers because they can quickly pick up on the feelings of others. It’s no surprise that friends and family run to them for advice when they are in trouble. They can help you deal with issues because if there’s anyone who can untangle the knots, it’s this highly sensitive Water sign. This sensitive sign care more for others than themselves. They focus on solving a friend’s problems more than their own. They have a tendency to worry too much when someone close to their heart is troubled. Home is where the Cancer’s heart is. They are happiest when confined within the four walls of their home. They are your typical home buddies! They value their privacy so much and having their own house is on top of their priority list. They will work hard, save and will stop at nothing to provide a peaceful and loving home to their family. They are caring and very protective of their family due to the influence of the moon’s maternal nature. They adore and love their children. They can be very protective of their loved ones. Sometimes they can be overbearing and smothering parents but all because they love too much. They are very clannish and adore family traditions. Loved ones who are far away will still be cared for by this motherly sign. You are truly fortunate when you have a crab for a friend! A Cancer is the one who will check on you to find out if you arrived home safely after parting ways and who calls to check if you’re drinking your medicines when you’re feeling under the weather. It’s natural for them to nurture friendships, going to great lengths to take care and protect people in their small but tight circle. With them, you are always assured that someone will be there for and with you when you feel down or run into trouble. They are affectionate, loyal and committed to their close friends. They are very considerate and are careful not to say or do anything that will hurt your feelings.Their high regard for friendships is admirable. They are keen observers of what goes on around them and when they sense something is off, they will make a move to convince you to open up and talk. If you are the type to keep things bottled up inside, you won’t be able to hold it in for long the moment they start probing. Cancer is able to assess you and your situation really well and use their observations to support their advice. Their instincts are often right on the mark and they can direct you out of difficulty. Their power of persuasion can be of good use to any advocacy. They are very passionate about the ideas they believe in, especially if it’s a cause that will benefit many people. They just know the right words to say in order to convince others to agree with them and slowly build a network of supporters. Cancers have the ability to touch the hearts of others. People will find themselves aligning with the beliefs of this endearing personality. Famous Cancers, Tom Cruise and Princess Diana evolved into strong personalities whose mere presence can persuade. They are very sentimental. Those that fall into the Cancer horoscope sign, love and give without expecting anything in return. Cancers are very affectionate and sensitive to the needs and feelings of their partners. 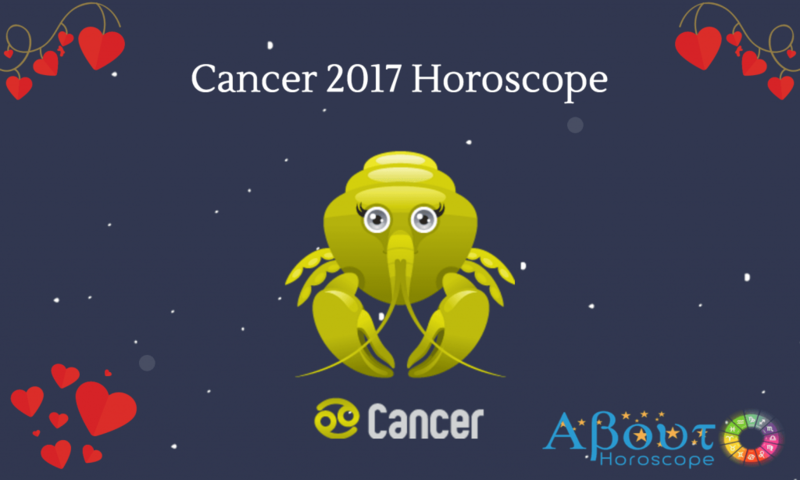 The Cancer is in tune with the feelings of others, but they are very protective of their own, hardly revealing anything about themselves. They are very cautious when it comes to love and one must break down the emotional barriers of this sign to win their trust. When they find a partner who shares their need for privacy and understands their temperament and mood swings; they love without reservations. They may have tendencies to be too clingy and needy, but over time they learn to loosen their grip. When trust is established, they will express their love with no holds barred. They are very caring to their partners, to their children and they are faithful to their spouses. They love to start or be a part of innovative projects. They are not afraid to take risks in business. They are able to rise up to the challenge in a calm demeanor. They remain unfazed even when things go out of control. They are the type to quietly assess the situation and wait for the right time to move. The diligent crab is an excellent worker, team player and entrepreneur. Since they know how to size up people well, they know how to delegate tasks and work well the team. Their persuasion skills combined with their wise decisions help them succeed in their career. They are good in handling money so you know your investment is in good hands when you start a business venture with them. They are capable of delivering financial success through their sound judgment.